It ain’t anymore just about burning rubber and avoid walls, some balls have been added to the equation! 2014 FIFA World Cup star Neymar Jr. & his freestyle team take on Gymkhana king Ken Block in his 650-HP Ford Fiesta rally car in a battle between man and machine creating what they call Footkhana, a mix of football and Gymkhana. As Neymar and his freestyle teammates use their football skills to score goals, Ken and his overpowered Fiesta drifts, blasting soccer balls into the net. Well it is not as impressive as what we are use to with Ken but it is a nice and fresh new idea. 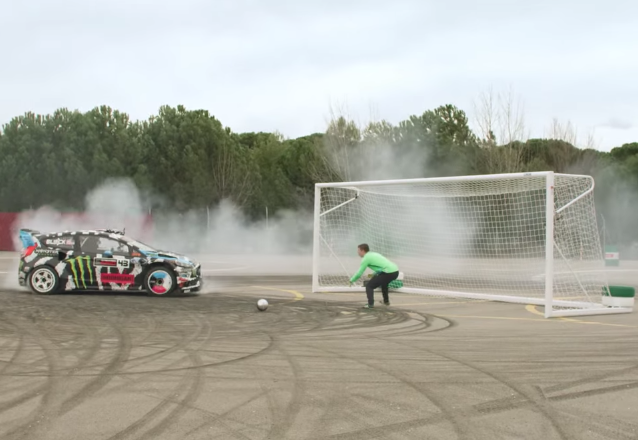 Very smart move by Castrol sponsoring the match, regrouping in the same video, the YouTube phenomenon Ken Block and FIFA World Cup star Neymar Jr. & his freestyle team targeting not only football fans but car fans as well. The complete videos got more than a 8 million views in just 3 days. 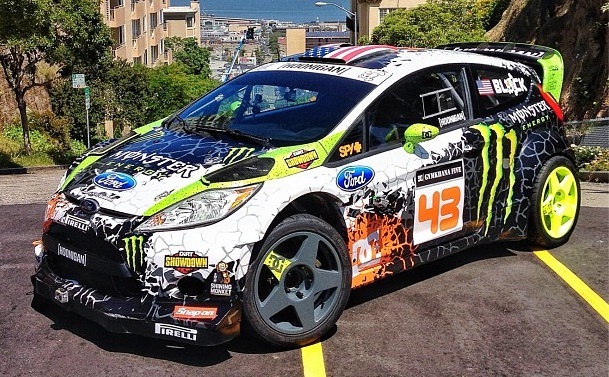 As carfreaks, you must have seen the Ken Block’s Gymkhana 6 by now. If you haven’t check the KenBlock Category of TheAdsGarage ASAP!! Here below is the same Gymkhana filmed entirely with a couple of brand new GoPro Hero3+ and edited by GoPro themselves. Not only it is an awesome way for GoPro to advertise their new born and prove, once again, that it is the most versatile camera you can buy but also, an Epic way of letting us enjoy that last Gymkhana in a bunch of new angles. I think there is no better way of feeling the thrill of the drift while sitting at home! TheAdsGarage is back right on time to share with you car freaks, the brand new Ken Block Gymkhana 6 video. With his modified AWD Fiesta ST sports 650 hp and 650 lb-ft of torque, good for a claimed 0-60 mph in 1.8 seconds, Kenny is ready to burn some rubber. This time, the goal was to design the Ultimate Gymkhana Grid Course. In addition to the usual tight turns, the course features new obstacles including a wrecking ball, a pair of moving Lamborghini Aventadors, and more. The result is not as impressive as the last gymkhana in San Francisco and what the hell are those plastic thingies on his front wheels? Gymkhana Six incorporates elements from Need for Speed Rivals such as video-game themed Redview County cops on Segways. Block is indeed the new Racing Advisor for the Need for Speed franchise. Will this mean that Rivals will feature a Gymkhana course or Ken’s Fiesta? We’ll have to wait until November the 22nd for the official release of the game! For now, enjoy the show! 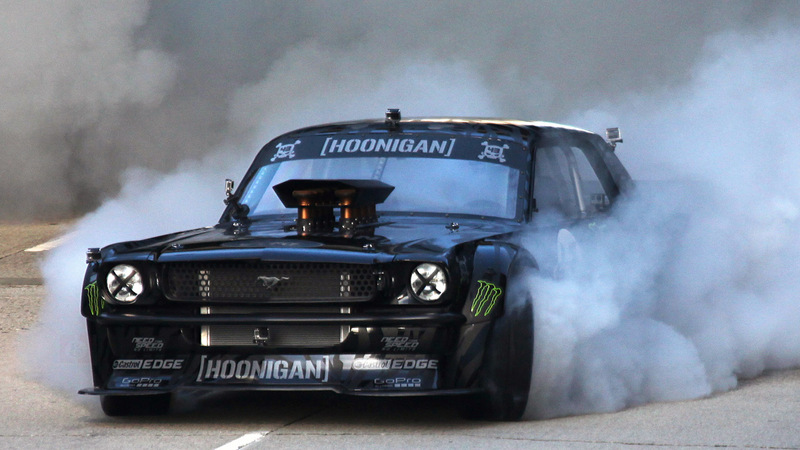 Feel free to check the rest of Ken Block’s Gymkhana videos by clicking right here. 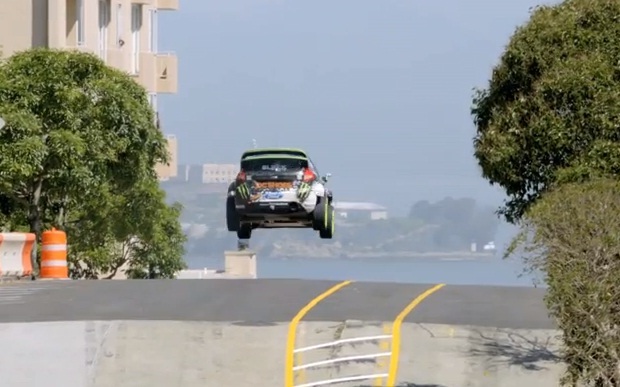 Ken Block Gymkhana 5: The Ultimate Playground, San Francisco. DC and Ken Block present what we have all been waiting for, the one and only Gymkhana Five: Ultimate Urban Playground; San Francisco. YES this video was shot in the actual streets of San Francisco, California, YES GoPro cameras were harmed in the making of this video, YES this Ford Fiesta burns the 0-60 miles in 1.8 seconds. Well this is the world of Ken Block! Filmed over four days, this Gymkhana is the 5th of the series. Travis Pastrana an old friend of Ken’s also joined the party on his dirt bike. Personally I think it is the best Gymkhana of the series. The video combination of all these thousand of GoPros gave a very nice result. The scenes, like on minute 3:50 were the car seems immobile and the camera is moving, are filmed thanks to the combination of several Go Pro one next to the other as illustrated in the picture. The result is that amazing footage of that flying car. 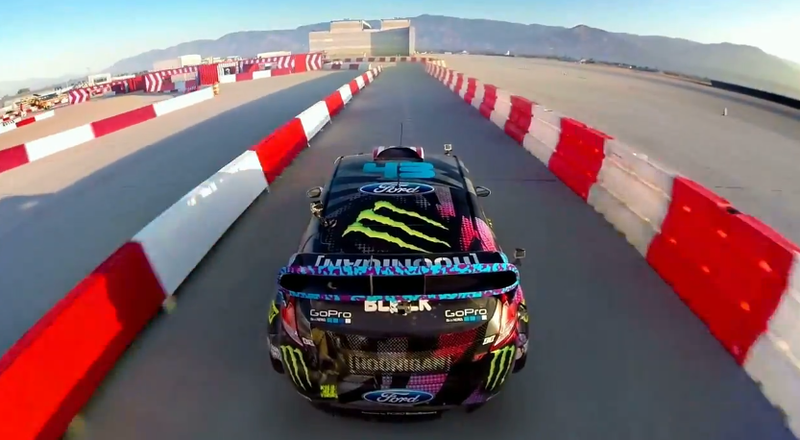 (You can check the four previous Gymkhana by Ken Block by clicking here). Ken Block announced that the Gymkhana 5 is gonna be released on the 9th of July 2012. In other words, next Monday. Yes, Mr.Block chose the worst day of the week to release the 5th edition of his mind blowing gymkhana series. His last four gymkhanas got over 20 million views each on youtube. To keep us busy until then, Ken released the 3 Teaser videos found below. For those of you who are not familiar with Ken Block, you can check all of the Ken Block videos in the “Ken Block” category on TheAdsGarage by clicking right here. Teaser 2: Block VS Pastrana.